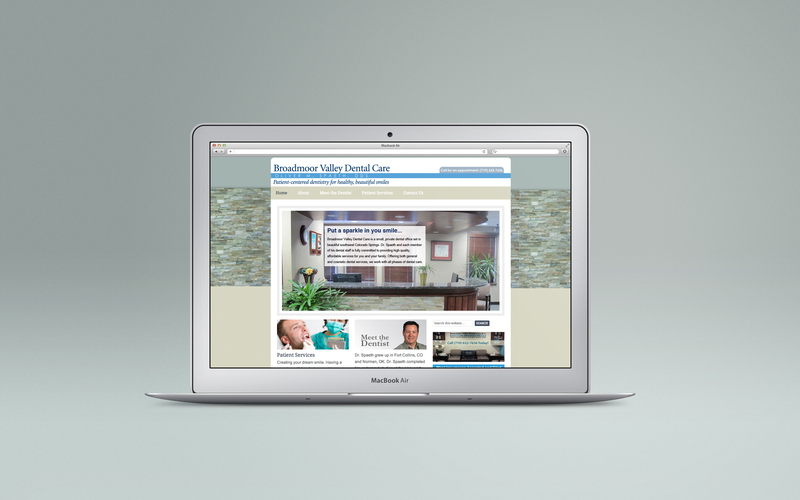 Our newest design was a dental web design for Broadmoor Valley Dental Care where we upgraded a Joomla site to a Wordpress site. We used their pre-existing branding and also brought in colors of their stone work from their offices. 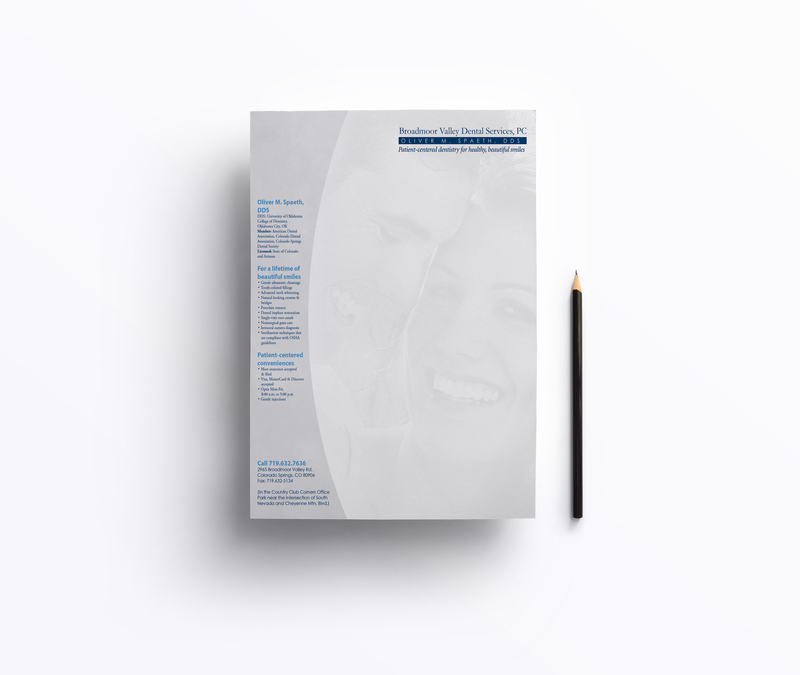 We've been working with the Colorado Dentist office for a few years and this is the first revamp of their original site we designed. 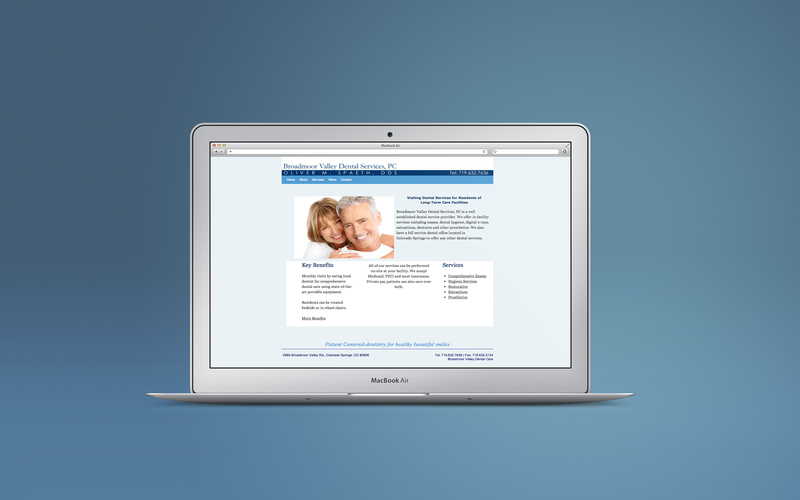 They have fillable pdfs for their patient forms now to help organized their client files as well. Broadmoor also has a second site that markets to a long term care facilities. We updated a pre-existing postcard for the Colorado based dental firm. 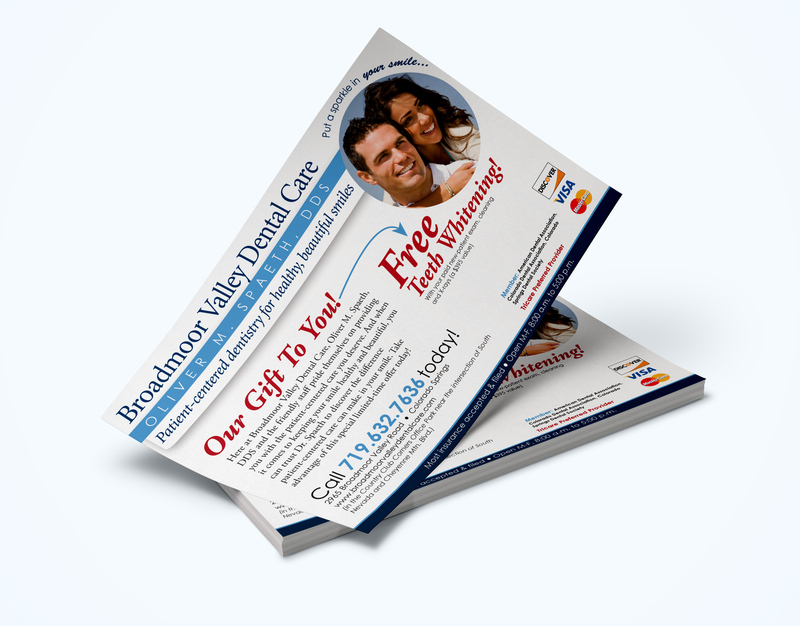 They use these cards as a newspaper insert to reach new patients.